I have always loved all things pistachio. Pistachio gelato, pistachio pudding, pistachio cupcakes, pistachios! 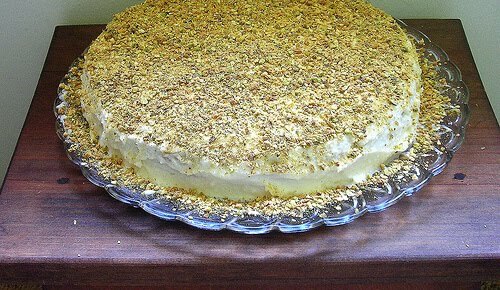 I grew up with many Persian friends and pistachios are a popular ingredient in their desserts/dishes. With tons of health benefits including providing antioxidants, lowering cholesterol, may improve your heart health and reduce lung cancer risk amongst others, they taste really good! 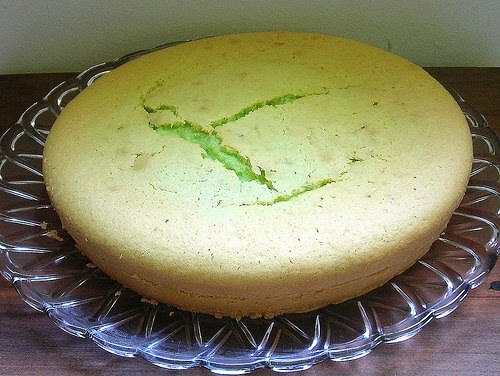 When I came across this recipe from Dessert Girl’s blog, I knew I definitely had to try this! Combine all ingredients in large mixer bowl, then beat at medium speed for 2 minutes. Pour into greased and floured 9 x 13 inch pan. Bake for 30-35 minutes at 350 degrees. Cool and frost. Adapted from The Sweeter Side of Amy’s Bread . 1. In a mixing bowl, using an electric mixer with a paddle attachment, cream the butter and shortening together for 1 to 2 minutes, until they are light in color and texture but not too soft. Scrape this mixture into a different bowl and set it aside to use later. Clean the mixing bowl to use for the egg whites. 2. Combine the sugar, egg whites, corn syrup, and salt in the top pan of a double boiler. Heat over simmering water, stirring frequently, until the sugar granules have dissolved and the temperature on a food thermometer registers 140ºF. Transfer the whites to the clean mixing bowl. Using an electric mixer with a whip attachment, whip the whites on medium to medium-high speed until the mixing bowl feels just cool to the touch, 10 to 12 minutes. The mixture should be white and fluffy and very thick. 3. Add the butter mixture and the vanilla to the egg white mixture and whip again, on medium speed, until the frosting has a smooth, creamy, spreadable texture, almost like stiff whipped cream, 1 to 2 minutes. 4. The frosting can be used immediately or stored in an airtight container at room temperature, but it should be used within 3 days. You may have to stir it briskly to re-fluff it if it’s been sitting for a long time. « Easy Pregnancy Back Pain…like a Cat! This is right up my alley! Sounds so good!!! That looks awesome! Thanks so much for the recipe! 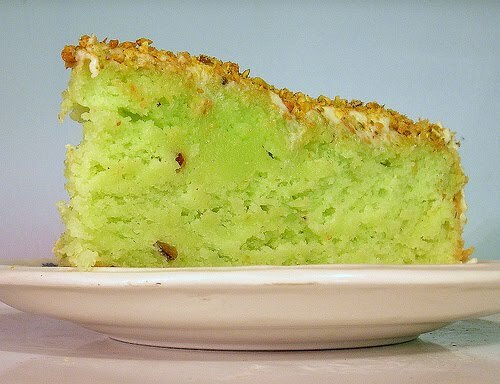 My hubby loves pistachio pudding so I am sure this will be a hit. I love pistachio! This looks divine! 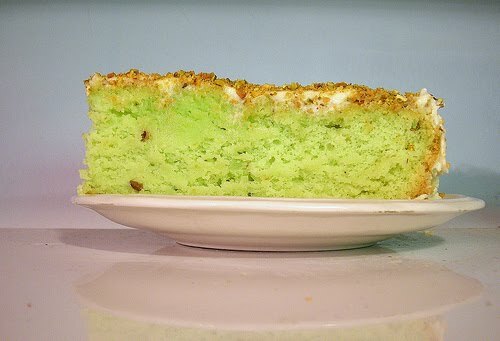 I love pistachio ice cream so i would probably like this.